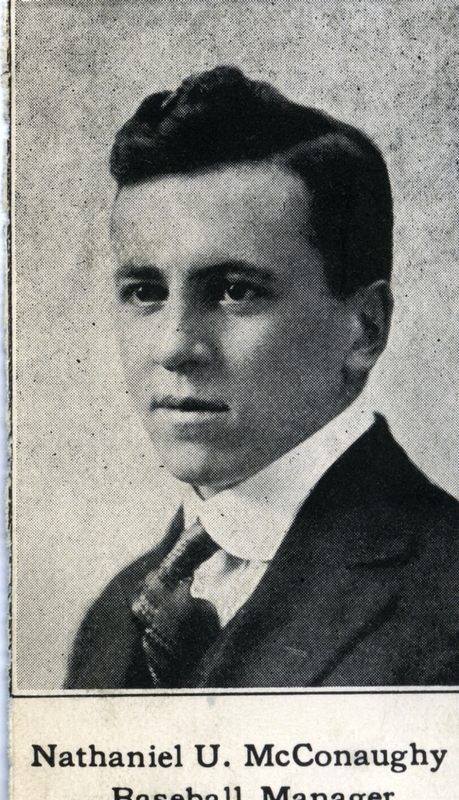 McConaughy, Nathaniel (Class of 1919). Formal portrait of Nathaniel McConaughy A.K.A "Nat" of the Bowdoin Class of 1919. He was a Baseball Manager.